I have noticed recently that women’s work is popping up all over the place. Women’s Circles are in every town across Australia, ‘women’s only’ workshops are flourishing and collectively we are being called to redefine what an empowered woman is. For a long time after the waves of feminism woke us up, many women felt that in order to be a women in her power we had to compete with men and even become more like men. We see this for example in politics where successful female politicians are described with masculine qualities such as ‘strong’, ‘hard’ and ‘iron’. Women with a spiritual practice and a longing to awaken have long known this is not the way to true empowerment. In Bhakti yoga culture, ISKCON founder Srila Prabhupada used the Sanskrit word ‘medha’ which refers to mental vigour and power, nourishment, prudence and wisdom to describe women. Medha means ‘the intellect, illuminated by love’ and is associated with female intelligence. Prabhupada recognised what has taken us years to absorb: Our power is not in competing with men but rather in our unique qualities which differentiate us from them. Remember: masculine and feminine role models both have their beauty and can serve all of us at different times and in different ways. Hone and use both your buddhi (discrimination, analytical mind) and your medha (intellect illuminated by love). Awaken both the qualities of God and Goddess in you - sacred lover and beloved! Observe and connect to the shifting energies of the moon. Notice how you feel at new moon and full moon junctures particularly. For women, this can connect to and support menstrual health. If you are a woman in your fertile years, healing your menstrual cycle is a big step to reclaiming your Shakti Prana. To learn more about how to do this, you are most welcome to join us for my Ayurveda Sadhana Course at Krishna Village in 2019. Practice ceremony: When we step into ceremony or heart-felt ritual we step out of auto-pilot and narrow thinking. Start your day with ceremony by lighting a candle and praying before you do anything else. End your day with ceremony by chanting mantra or journaling what you are grateful for before you sleep. Smoke-cleanse your space (with sage, incense or palo santo), then sit in meditation. Rethink your approach to healing when you are unwell. Experiment with aromatherapy and herbs rather than turning straight to pharmaceuticals. Look for a qualified naturopath or holistic GP in your area. Connect to the season, land and people around you. Notice which foods grow seasonally where you live. Eat that food. Explore seasonal rhythm and cycles. Connect to the stories of your ancestors. Talk to those who are still alive and ask about generations that came before. 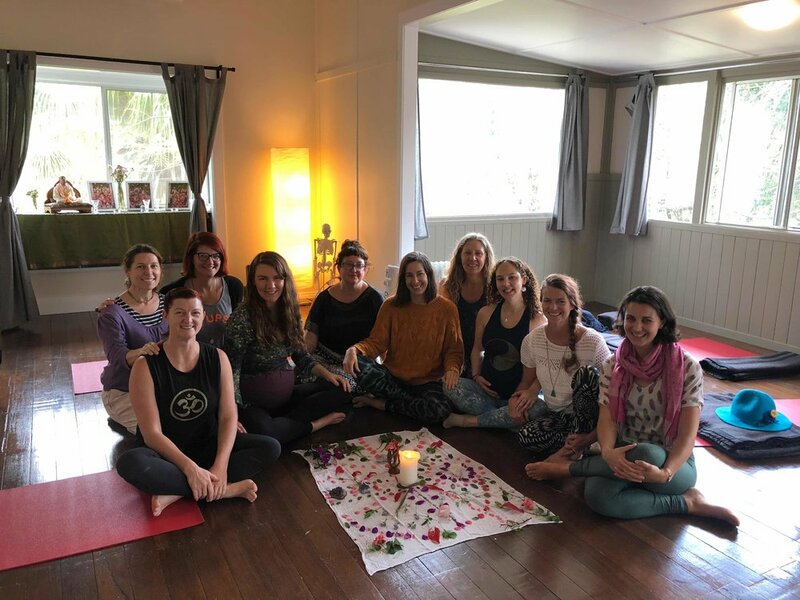 Particularly talking to females about family history of birthing babies, spiritual awakenings and traditional family folklore around food and medicine are healing for Shakti Prana. Be open-minded and non-judgmental about which family members you ask and what they tell you. These are the stories that formed you whether you 'like' them or not. Sometimes a little reflection and deeper investigation of ancestral patterns can hold great riches of understanding for our own healing and evolution, if we stay kind and expansive in our approach and thinking. Katie Manitsas will be teaching Women’s Ayurveda courses at Krishna Village in 2019. The focus of these offerings is to enhance women’s healing and power in our modern world through ancient practices drawn from Vedic wisdom.